In this semi-detached house everything is brand new with keen attention to detail, in the Orihuela Costa district. The interior is very well maintained with two bedrooms and access to two shared pools. The enclosed plot is ideal for children. In this pretty house, you will feel at home, where you have two pools to choose from. Great shopping places re available just a 5-minute walking distance. This beautiful modern villa is made from brick or stone and was originally built in 2006 and refurbished in 2012. The agent has rated it as a four star property so it is a well-equipped villa with above average furnishings. It is also great value for money. 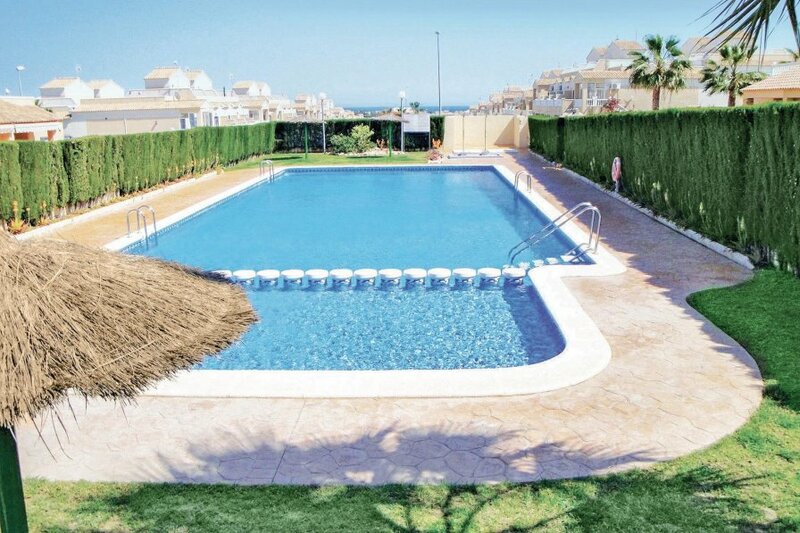 This villa has use of a shared pool and beautiful panoramic view over water; it is also located in La Cinuelica, only 5km from Torrevieja. The nearest airport is only 45km away. It is set in a convenient location, 2.5km away from a sandy beach. There's also a restaurant only 700 metres away.